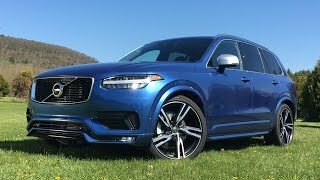 It isn’t long that Volvo introduced its fantastic XC90 last year and no doubts that the release gained commendable eyeballs followed by appreciation. 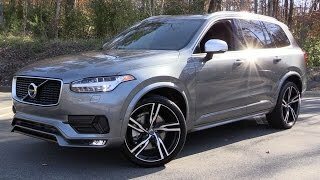 Comes year 2015 and here we have from the house of Volvo upgraded Volvo XC90 R-Design 2015 at the 2015 Detroit Auto Show. Through this too attractive modified version, Volvo didn’t leave a stone unturned to bring the best for its customers. Let us have a sneak in and out this model and analyze changes closely. Interior of Volvo XC90 R Design 2015 is appreciably clean and fresh in comparison to Volvos we have seen in recent past. Inside the major gleam is through the Nubuck and Nappa leather wrapped all new sports seats, a perforated leather steering wheel mounted over clean dashboard while the gorgeous looking gear knob sits on the center stack. Volvo XC90 R Design also gets a 12.3 inch infotainment system featuring a tablet like touchscreen surface. Apart from these Volvo also took care of branding this modified Volvo XC90 R Design 2015’s ‘R-Design’ tag. The branding is very well detailed through pedals, floor mats, gearshift knob and illuminated tread plates. Exterior of Volvo XC90 R Design 2015 very well carries with it the standard design and features housed in the base model. However details have been added to give the touch of ‘R-Design’. In front fascia of Volvo XC90 R Design you’ll notice a different grille and to accompany matte silver roof nails is a spoiler joining mirror caps too. Major addition to the aggression comes through 20” inch alloy wheels that very well portray the impression of model they house. 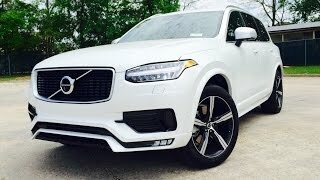 This is where Volvo XC90 R Design 2015 will delight you beyond your expectation by offering you options to chose among five powertrains it offers. Here we begin with the two diesel engines; first one in the segment is a D4 Twin Turbo producing 190 hp and 400 nm torque while following it is D5 Twin Turbo Diesel Engine producing 225 hp and 470 nm torque. Moving ahead towards rest of them the two in our least powerful list are T5 and T6 Turbo engines delivering 254 hp and 350 nm torque, and 316 hp and 400 nm torque respectively. 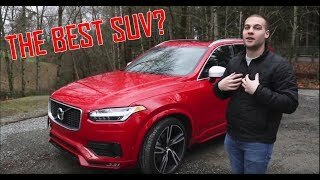 Now here is the last but the most powerful out of all five powertrains offered by Volvo XC90 R Design 2015 and that a 2.0 liter turbocharged engine and an 80 hp electric motor beneath the hood producing total output of 400 hp and 640 nm torque.